Kitchen Design Think Tank: The Mogul Passes Judgment on the Kevin McCloud Debate! The Mogul Passes Judgment on the Kevin McCloud Debate! "The Kevin McCloud debate is a positive process for the kitchen industry because it is making us take a serious look at ourselves! We all know how the cost of materials and overheads can vary, and that these factors will cause serious product price differences; but what value is given to the intellectual property of the designer? This debate overlaps with the ongoing issue of kitchen and bathroom design quality in the UK and charging for it accordingly. This healthy debate has started a process whereby the true value of any kitchen should be evaluated at its source; with the intellectual input and skill of the designer. The kitchen and bathroom industry has historically fumbled with the notion that there is a value to good design and designers being rewarded for their efforts! Skilled bespoke kitchen designers can look at each project as a piece of functional art so surely this should be given a higher value than a mass produced product sold from a pre-manufactured check list! It’s not just about being a celebrity designer either, as there are thousands of unseen designers working in this country, putting their heart and soul into every project and not being rewarded for it! If something is designed well, it will work well for longer and give the user greater satisfaction and value for money, even if the product was a little more expensive to begin with!!" Oh yea, one last point! 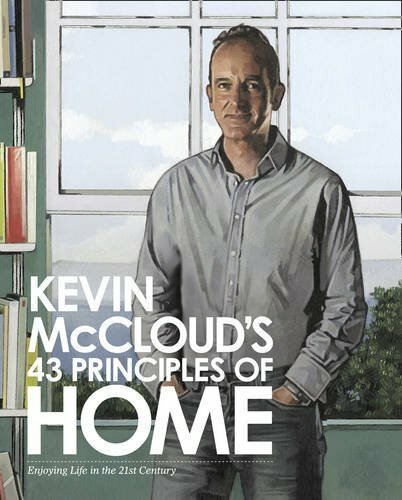 Top marks to McCloud’s marketing people who have pulled off a master stroke here by enrolling the entire KBB Industry as spin doctors for his new book! What do they say; any publicity is good publicity!! Please feel free to give The Mogul your throughts.